With so many budget airlines in Europe these days, getting away for a weekend escape is easier than ever. And what better weekend getaway could there be than 48 hours in Barcelona? 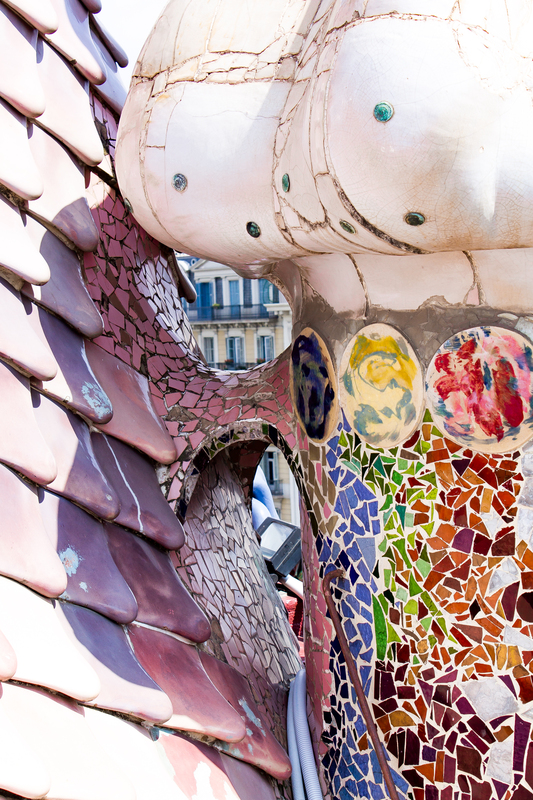 The fascinating and dynamic Catalan capital has a little bit of everything: impressive architecture, unique culture, great food, and unparalleled nightlife. 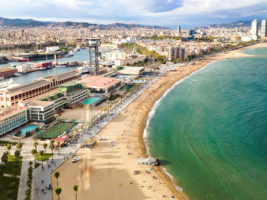 From the beautiful coastline to the vibrant city brimming with sights to see and things to do, it’s easy to get a bit overwhelmed with planning a short trip to Barcelona. So what should you definitely not miss? Here’s a list of a few ideas from a local’s perspective for soaking up the best parts of all that Barcelona has to offer no matter how long your stay. Barcelona’s unique architecture is one of the best reasons for visiting the city. If you only have time to see one Gaudí house, make it Casa Batlló. Taking the audio guide tour through the house is like walking through a dream world as you wind your way up towards the rooftop of this home-turned-museum. The way Gaudí worked with light, shapes, and color comes alive in this nature-inspired house where nothing is traditional. The combination of modern functionality and artistic form at Casa Batlló makes it easy to understand how Gaudí got his name as the creative genius he was. Far above the city, the Bunkers is one of the very best places for a picnic with a panoramic view. Used for defense during the Spanish Civil War, it’s now a popular place to take a bottle of wine and relax for a while, taking in the breathtaking view below. From the Bunkers, you can see all of Barcelona at your feet. Go at the end of the day to watch the sunset and see the twinkling lights of the city by night. Although it’s a long walk to the top, the Bunkers are only about 15 minutes by taxi and half an hour by bus from Plaza Catalunya. The lovely Park Güell rises above the city as one of the most unique and colorful spots in Barcelona. Another example of the mark that Gaudí made on the city, the park is an absolute must-see in Barcelona. While the lovely gardens surrounding the park are free, entrance to the monumental zone where you’ll find the famous, colorful tilework costs seven euros. As access is controlled to prevent crowds, tickets can be booked online in advance to ensure a spot. Once you enter, you can spend as much time as you’d like wandering the grounds and admiring the park’s one of a kind architecture and stunning views. 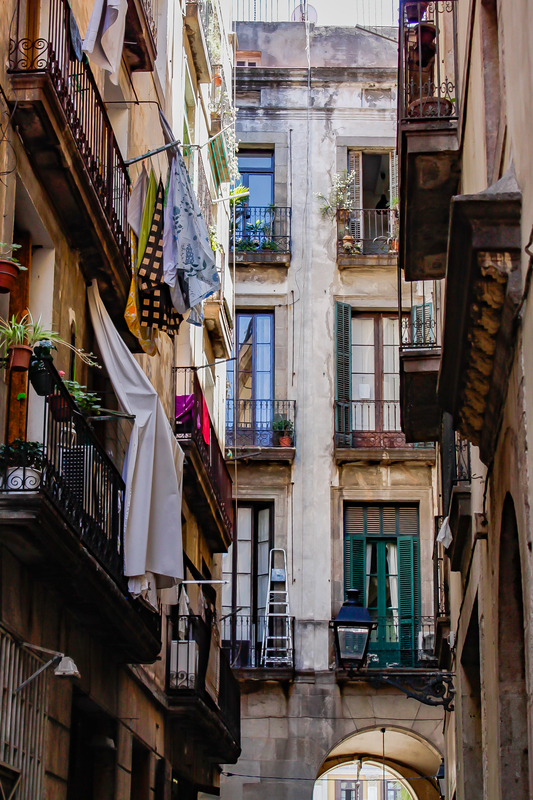 You haven’t experienced Barcelona until you’ve closed Google Maps and let yourself get lost in the quiet winding alleyways of the Gothic Quarter and El Born. These two neighborhoods have an undeniably special charm. A stroll through their streets is like stepping into the past. Around every quiet, narrow corner, you’ll find another photo-worthy scene, quirky boutique, or well-established tapas bar. Enjoy the maze and see how many treasures you can discover in this lovely district of Barcelona. 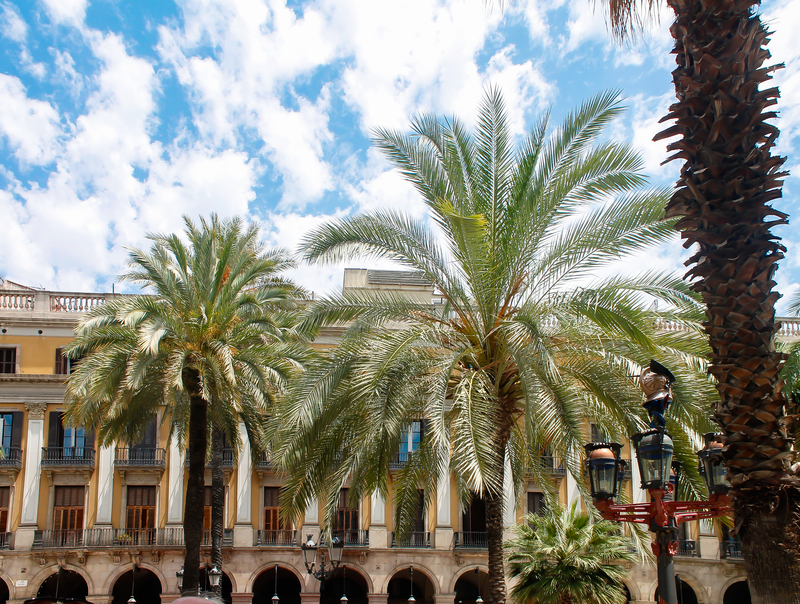 To get a taste of local culture and gastronomy, avoid the tourist bustle at El Mercat de la Boquería and head straight for Mercat de Santa Caterina. This neighborhood market, located in the lovely El Born district, doesn’t put on a show for the tourists. 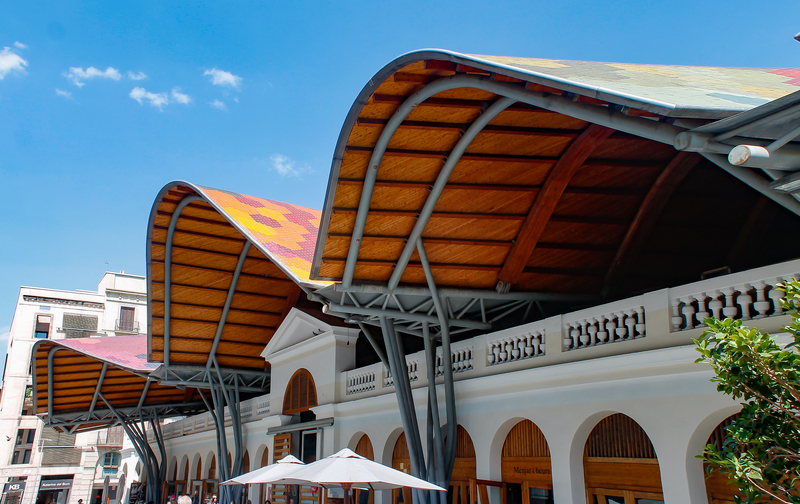 It functions as an authentic daily marketplace full of delicious local products. From fresh, seasonal produce to the finest Spanish hams and cheeses, you can find it all at Santa Caterina while avoiding all the crowds and tourist prices of La Boquería. Brunch is an essential part of any perfect weekend in Barcelona. 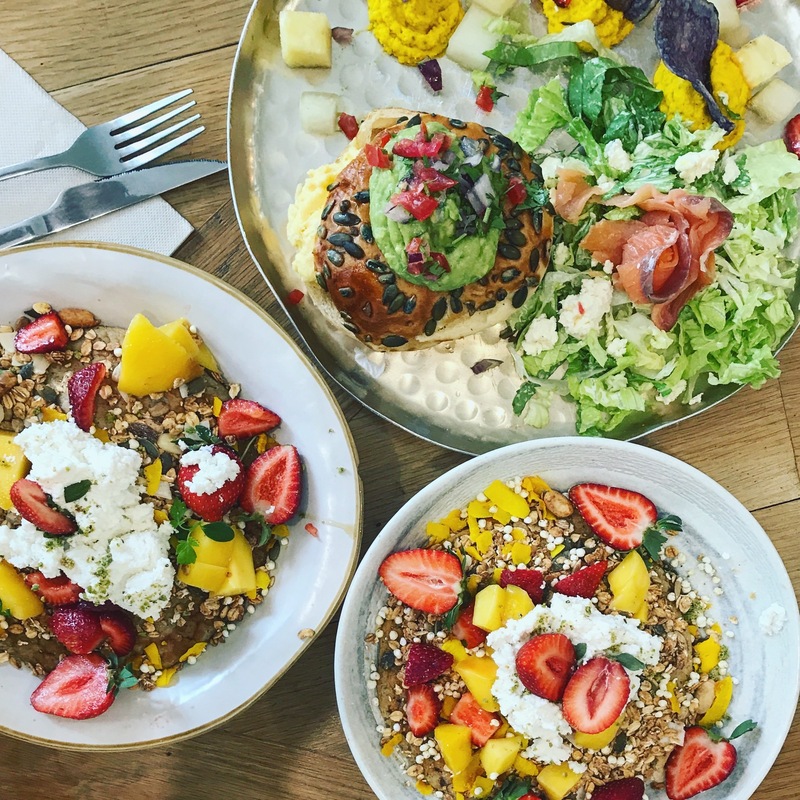 If you’re looking for something really special, try Brunch & Cake where the food looks almost too good to eat (and tastes as good as it looks). Attention to detail is their specialty. With the best natural ingredients on hand and some of the very best coffee in the city, Brunch & Cake will satisfy all your brunch cravings. From sweet to savory, they serve up all the best options in the most beautiful presentation. Barcelona has a seriously great gastronomic culture. But it’s easy to get lost in the sea of bars and tapas places tempting tourists around every corner. For some authentic local food, check out La Cervecería Catalana. There’s almost always a long wait and they don’t accept reservations, but it’s absolutely worth it. Go with a big group and share as many little plates as you can. Sampling a bit of everything is always the best way to go with tapas, and it’s no different here where everything on the menu is worth trying. For some more great tapas in the city, try Bar del Pla, Bar Brutal, or Cal Pep, all located in the Born. 48 hours in Barcelona wouldn’t be complete without a little beach time along the Mediterranean. More than just a beach, the atmosphere along the coastline is something really special in Barcelona. With tons of people walking, biking, and skating along the promenade and another beach bar every few meters, it’s the best place in the city to simply hang out and people watch for a while. And if you’re visiting in the summer, there’s nothing as refreshing as taking a dip into the cool, clear water and lazing away the afternoon under the Barcelona sunshine. There’s no better place to grab a drink in Barcelona than at one of the city’s many rooftop terrace bars. Tons of four and five-star hotels in the city are topped with these lovely little oasis bars. 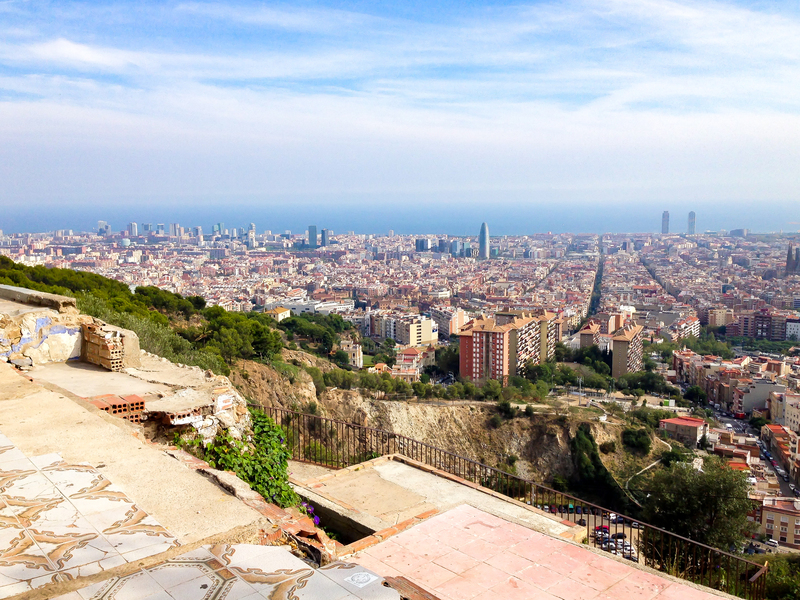 For one of the best views of the city, go to Raval and take the lift to the eleventh floor of the Barceló Raval hotel. From there you can order a glass of wine, a beer, or cocktail and enjoy a 360-degree view of Barcelona at your feet. And finally, of course, no visit to Barcelona would be complete without witnessing one of the most remarkable works of modern architecture in the world firsthand. 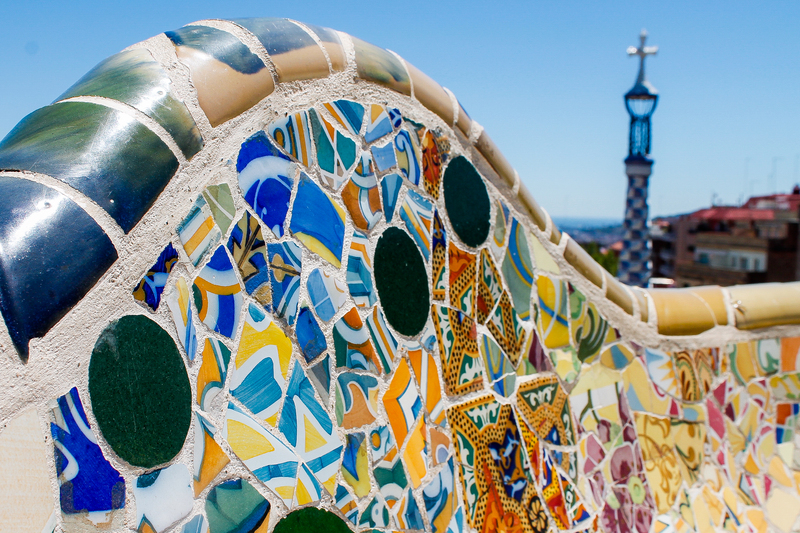 Gaudí’s unfinished masterpiece is one of the most visited tourist sites in the world for good reason. 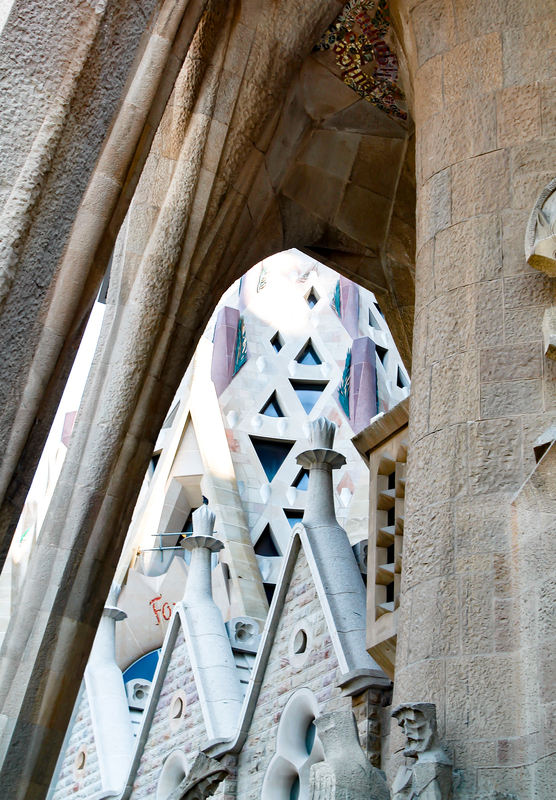 A combination of natural elements and extravagant detail make the Sagrada Familia a truly astonishing sight. However, to avoid long lines (especially in the summer) tickets should be purchased in advance. Don’t forget to arrive on time and then spend as long as you’d like admiring a cathedral unlike any other in the world. 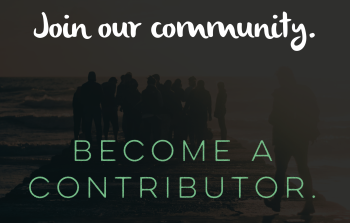 About the author: Rachel Graf is an American expat with a passion for travel, adventure, and good food. She’s currently living in Barcelona where she is a part-time English teacher and full-time traveler. You can find her photography available on etsy.